On February 27, 2019 we posted US S.C. To Decide Whether States Can Tax Out-of-State & Foreign Trusts, where we discussed that more than $120 billion of our nation's income flows through trusts and the Supreme Court will hear a case that may clarify how much states are able to tax and that in April, the Supreme Court of the United States will hear an appeal against North Carolina's practice of taxing the undistributed income of an out-of-state trust that has a beneficiary living in the state. North Carolina is one of 11 states that consider trusts taxable when they hold income for a person who is using the state's services, but US courts have reached different results about whether due process prohibits these taxes. 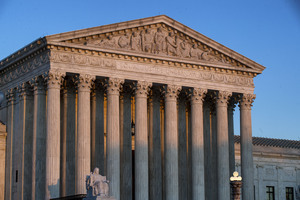 According to Law360, the U.S. Supreme Court justices questioned on April 16, 2019 whether a North Carolina beneficiary’s expectation of distribution from a trust gave the state taxing rights, even though its settlor and initial trustee were out of state and distributions weren't guaranteed. The justices heard oral arguments in a case pitting North Carolina’s Department of Revenue against the Kimberley Rice Kaestner 1992 Family Trust, whose beneficiary lived in North Carolina. The state Supreme Court ruled last June that North Carolina’s taxation of the trust based on the beneficiary’s residence was unconstitutional, prompting the Department of Revenue to appeal to the U.S. Supreme Court. The justices were advised that the beneficiary had no guarantee of receiving money from the trust during the four years that the state taxed the trust. 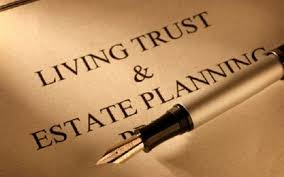 The mere presence of a beneficiary did not give the state the right to tax the trust, whose settlor and initial trustee were in New York, he told the justices. During the tax years, when the beneficiary received no distributions, the trustee was a Connecticut resident, and the money belonged to him, not the North Carolina beneficiary. Justice Elena Kagan seemed skeptical. She advised that eventually the beneficiary would likely get the money from the trust and questioned why it shouldn’t be her state that taxes it. Why should New York or Connecticut have the taxing authority when a North Carolina resident would receive money from the trust, including accrued interest. David A. O’Neil of Debevoise & Plimpton LLC, representing the Kaestner Family Trust, told the court had for decades protected a trust from taxation by the state where the beneficiary resides, if the trust has no other contacts with that state, and it should look to those precedents, including Brooke v. City of Norfolk from 1928, Safe Deposit & Trust Co. v. Virginia from 1929 and Guaranty Trust Co. v. Virginia from 1938. Earlier, Justice Stephen Breyer seemed sympathetic to O’Neil’s position when he questioned Matthew W. Sawchak, solicitor general of North Carolina. He didn’t seem disposed to accept an argument from Sawchak that “the trust has no situs” and that North Carolina should impose taxation because “benefits and protections” were extended by that state to the beneficiary. Key To The North Carolina Supreme Court’s Finding That Taxation Of The Trust Was Unconstitutional Was That Kaestner, The Beneficiary, Did Not Receive Distributions From The Trust During The Years At Issue. The Revenue Department Collected $1.3 Million In Taxes From The Trust Over Four Years. The outcome of NC Department of Revenue vThe Kimberley Rice Kaestner1992 Family Trust will determine whether individuals are able to avoid state taxes by placing assets with trustees in states with no income tax liability. This may also impact Foreign – Non-US trusts, who have US beneficiaries, living in states which tax the income from Out-of-State Trusts. More than $120 billion of our nation's income flows through trusts, and this case that may clarify how much states are able to tax. According to Ostrow Reisin Berk & Abrams (via Mondaq) in April, the Supreme Court of the United States will hear an appeal against North Carolina's practice of taxing the undistributed income of an out-of-state trust that has a beneficiary living in the state. North Carolina is one of 11 states that consider trusts taxable when they hold income for a person who is using the state's services, but US courts have reached different results about whether due process prohibits these taxes.